What is Pier Giorgio food pantry? A Ministry founded by former youth minister Joseph Cunningham and is now run by Jose Apolinar and the youth team. The youth understand the importance of spiritual AND corporal works of mercy! (Matthew 25:31-46) this is why we have turned an empty garage into a successful food pantry for those in need! The ministry is open on every 2nd and 4th Sunday of the month from 1:30-3pm pm and is located in the garage behind the parish office. the best part is that the food comes directly from the generous hearts of our parishioners. The youth are in charge of collecting, stocking, and distributing the food to families in need. 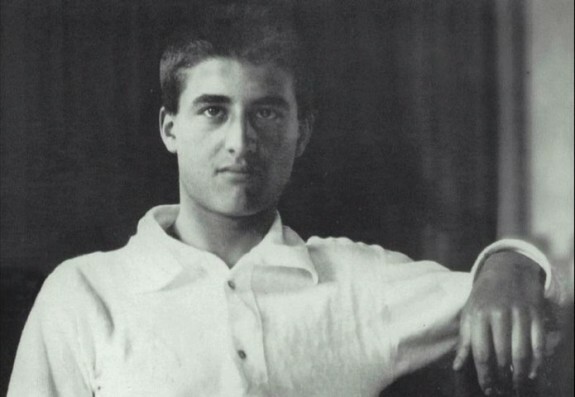 When he was a child a poor mother with a boy in tow came begging to the Frassati home. Pier Giorgio answered the door, and seeing the boy’s shoeless feet gave him his own shoes. At graduation, given the choice by his father of money or a car he chose the money and gave it to the poor. He obtained a room for a poor old woman evicted from her tenement, provided a bed for a consumptive invalid, supported three children of a sick and grieving widow. He kept a small ledger book containing detailed account of his transactions, and while he lay on his death bed, he gave instructions to his sister, asking her to see to the needs of families who depended on his charity. He even took the time, with a near-paralyzed hand, to write a note to a friend in the St. Vincent de Paul Society with instructions regarding their weekly Friday visits. Only God knew of these charities; he never mentioned them to others. What are the things you need most? We take all kinds of food donations items as follows; canned food, beans, rice, pasta, pasta sauce, rice, mac and cheese. Also spiritual items such as rosaries, books, novena booklets and other religious items. Do you accept financial donations? Any financial support is very appreciated. PRAY FOR THE YOUTH AS WE CONTINUE TO DO THE LORDS WORK IN HIS HOLY VINEYARD.